The usual picture we see when we walk into an office of people sitting down in front of their screens might be changing as studies have found that standing for a certain period while working can improve employee’s health and increase productivity. The Sit-Stand Desks are becoming popular, providing employees with the choice of alternating between sitting and standing periods and contributing to solving health issues caused by inactivity. This modern office solution has a mechanism that allows the adjustment of the height of your desk and depending on the type, all its equipment. It enables the staff to carry out tasks while standing, without the need to bend and strain their back, without the need to wait for a break or having to leave tasks unfinished. This habit has been proven to benefit the daily business routine. A study published in the Scandinavian Journal of Work, Environment and Health shows that standing at work reduce the chances of obesity, type 2 diabetes and heart disease. When given this option, the staff can choose when to stretch the legs and be more active with less interruption on their work routine. 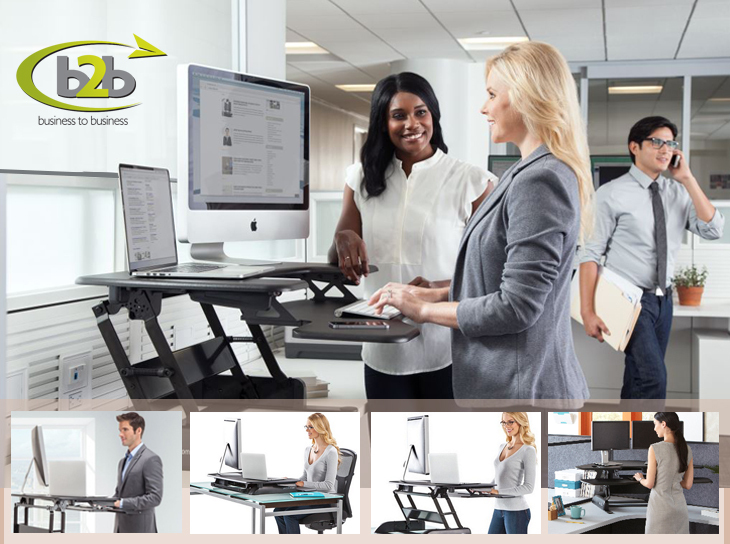 Moreover, it can facilitate tasks and time management, as people can choose to carry out tasks that demand high concentration while sitting and lighter tasks while standing. Taking short breaks from highly demanding tasks can prevent loss of concentration and minimise errors. The latest research in the UK shows that there were over 3 million people on long-term sick leave due to back pain. Changing the habit of sitting for long hours can contribute to preventing this problem and cut down the costs with staff’s sick leave. There are several models to choose from and here are a few points that you must consider, ensuring you are making the right choice. There are manually operated desk where the mechanism is only to hold it in place once adjusted. 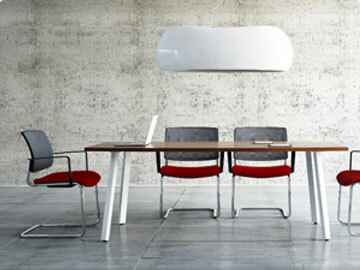 There are desks with electric motors that when activated the mechanism adjusts the height. And there are standing desks converters. The latter does not require a change in the entire desk, it sits on top of it and it has the mechanism to adjust the height from your desk upwards. Measure how much space you have for the desk and how much space you need around your screen, for a notebook for example. Consider the type and weight of your screen and the material you will have on top of it. If you surpass the weight supported, it may affect the mechanism and shorten the durability of the product. There are several ways to influence the staff’s happiness at work, they will consequently be more motivated and productive. To further increase the benefits brought by these flexible desks, you can add an anti-fatigue mat that subtly encourage leg’s muscles movements, contributing to blood flow. When sitting down, an ergonomic chair is also proven to have an impact on your employee’s health.